One big annoying part of developing eg. e-mail scripts, forms and order confirmations, is debugging the emails itself. You often just put in our own email and fill your own inbox with spam and numerous emails. What happens if your email goes out live? You accentual put in the wrong email address or you just run the wrong script and a mass mailing script starts. That’s not a fun way to start the day. With Mailhog you can safeguard your local development when testing outgoing email. 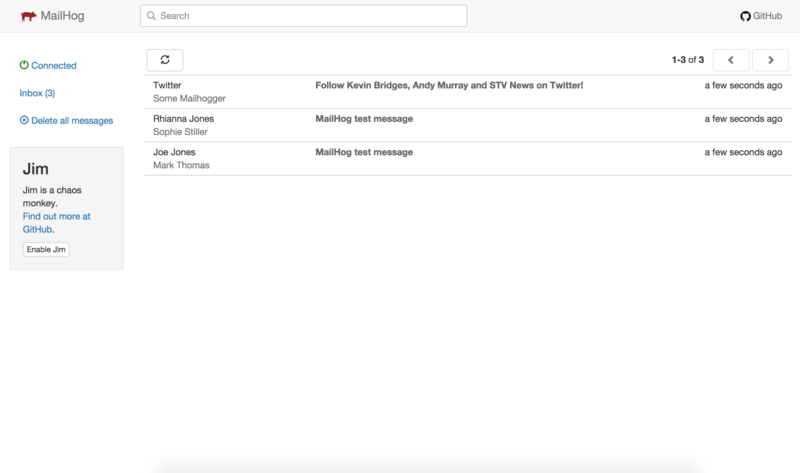 Mailhog catches every email going out from your application and relay it to the mailhog inbox. How to enable Mailhog with Velumi local? Then just enable your application to send email via SMTP and set the host to.